The strangest place I have ever been. 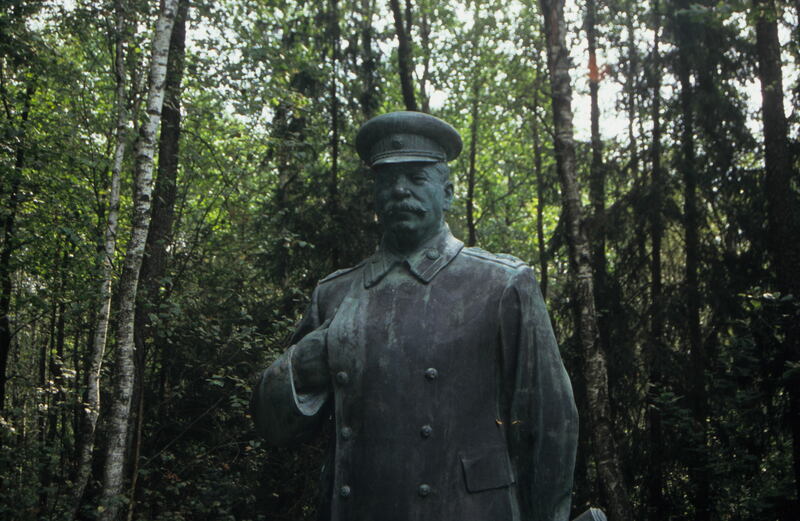 As I continued to walk down the path, passed the grey statue of Vladimir Ilyich Lenin on my left hand side, the Soviet marching music was still playing from loudspeakers attached to imitation Gulag watchtowers in the forest by a small stream on my right. Each statue has an English translation of where the statue stood in the Communist era; for example, the lovely Stalin statue stood outside the train station in Vilnius, which must have cheered commuters no end as they shuffled to their work. There are no statues or pictures of Trotsky, and not all the statues are of Stalin, Marx, and Lenin. Felix Dzerzhinsky, founder of the KGBs forerunner the Cheka, is present looking very sleek and sinister in a long cape. There are statues of Lithuanian heroes such as 20-year old freedom fighter Maryte Melnikaite who was shot by the Nazis in 1943 and of the Four Communards, the underground communist leaders who were shot in 1926 in Kaunas, Lithuania’s second city. After a tour of the statues that took about an hour, I went to the canteen, where there was a choice between a lengthy, ‘normal’ menu and a much shorter ‘Nostalgia’ menu, specializing in Soviet style cuisine. I decided to enter the spirit of the park and selected my lunch from one of the three nostalgia dishes on offer. The picture of the “Goodbye Youth” chop indicated to me that there was no actual meat on the chop – that it was just bone with some marrow attached. “Hello Hunger” would have been a better name. I was left with a straight choice between the single sausage draped elegantly over the side of a metal dish or “Sprat Done The Russian Way”. The sprat was garnished with a single ring of raw onion and the ‘Russian Way’ was to have a glass of vodka with the sprat. Just to complete the theme, pictures of Lenin and Stalin adorned the glass. I had the sausage. It was delicious, but was slightly too pink in colour for my liking.